Kiwibank aspires to be "digital first", but is having trouble with technology - and earthquakes. Kiwibank wrote off more than just the remainder of its SAP-based CoreMod banking system project, new documents reveal. The now partially government-owned company wrote off five other projects totaling $3.3 million during the 2017 financial year, a disclosure to Parliament shows. The bank also reported a strategic review is underway focusing on a number of options for how best to deliver a digital future and become "digital first". "The need to migrate to more contemporary platforms to support a digital business has required a review of current skills versus future skills needed to implement, support and evolve these platforms," the bank said. Digital is the dominant channel for servicing and grew by almost 200 per cent over the last three years. 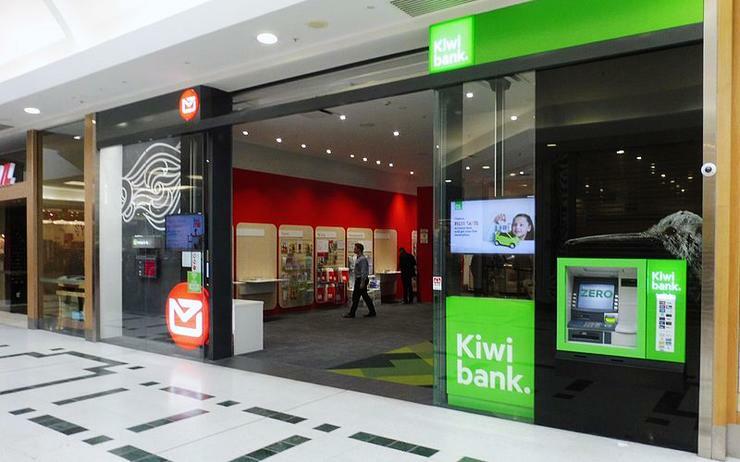 "The way customers interact with Kiwibank is changing almost as rapidly as the technology required to support their increasing preference for digital banking experiences," the bank said. In the past year over 52 per cent of sales were completed through a digital channel and more than 67 per cent of customers digitally connect with the bank. "Kiwibank has been working with the shareholders of the group to respond to changes in the very nature of what it means to be a financial services provider." As to the ill-fated CoreMod project, which has produced $100 million in write-offs to date, Kiwibank says the project delivered phase 1 in September 2015 with the implementation of the SAP Payments engine to support Settlement Before Interchange (SBI) inbound and outbound payment processing. Phase 2 was split into a number of releases with the first, to support statement processing, delivered in November 2016. "The main release for phase 2 was to provide demand deposit (transaction accounts) functionality, as well as supporting application functionality to support a dual core processing environment with a November 2017 implementation." Phase 3 scope included loan origination and processing, and delivery of remaining deposit functionality (term deposits) to allow the decommissioning of the bank's legacy Ultracs banking system. Phase 2 and 3, however, were impacted by the November 2016 Kaikoura earthquake as well as "delivery complexities and resource challenges in paralleling phase delivery activity". Phase 3 was put on hold in March 2017 to allow the project to focus on delivering phase 2. The phase 2 delivery date was then re-scheduled to May 2018. After a review, the CoreMod project was stopped in October 2017 with $100 million in total write-offs. Apart from CoreMod, other projects were delayed as a result of the earthquake. These include an IT readiness programme dubbed Advance IT, an enterprise integration platform (EIP), treasury management system upgrade, a digital web platform and a replacement prepaid platform. Other key projects of note are InTouch refactoring, with an initial budget of $3 million but now expected to cost $3.2 million and "non functional testing", budgeted as $4 million but now expected to cost $2.3 million. Meanwhile, Kiwibank's New Zealand Home Loans launched its WealthNav project to modernise its processes and technology at its annual conference in July 2017. During the 2016/17 year, the group's Kiwi Asset Finance division also undertook two software as a service projects: introducing Salesforce CRM at a cost of $18,900 plus GST in November 2016; and Promapp process management at a cost of $16,400 plus GST. The group is now owned by NZ Post (53 per cent), the NZ Super Fund (25 per cent) and ACC (22 per cent).